The HSS 3235 is ideal, as a supplement to reflow processes, to solder leaded components or connectors. This applies specifically when short cycle times are required for large volume production. Both, bare boards as well as carriers can be processed and of course the HSS 3235 may be integrated into a fully automated production line. 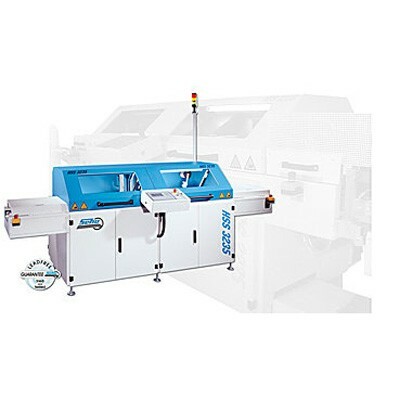 Depending on the size of PCB to be soldered, the HSS 3235 feeds one or more assemblies into the different machine areas: fluxer, preheating or soldering area. In each case, all joints will be fluxed, preheated or soldered in parallel and at the same time which guarantees shortest cycle times. Either a stamp fluxing system or a coordinate spray fluxer may be integrated into the HSS 3235. In the soldering area the HSS 3235 uses the dip soldering process with high precision solder nozzle arrangements which of course are quickly exchangeable. The soldering area incorporates a number of technical innovations, which contribute to excellent wetting, perfect peel-off even at fine pitch connectors and reliable filling of through-holes.